1. 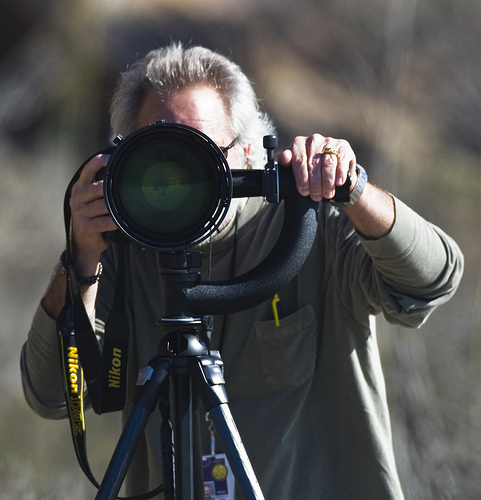 Know the capabilities and limitations of your gear and be prepared to invest in quality equipment, including lighting. Image quality is everything, and poor image quality is the number one reason images get rejected by editors. 2. Search the stock collections you plan to submit content to, and look to fill a void. There will always be content gaps on topics that are scarce or popular images that need updating. Perhaps you can even look to replicate an outdated photo with a new twist. 3. Most stock agencies provide information on the content topics that are needed and not needed. All you have to do is find it and follow it. Learn how to search keyword standards at your agency and work to optimize your metadata. It can mean the difference between getting your photos ranked high in search, or being lost in the abyss. 4. It is also important to develop a style and refine it. Feel free to experiment in your personal projects and test the waters buy uploading the occasional fun image. You don't have to play the trendy-style game when it comes to shooting. A customer who likes your style will come back to check on your latest images, so be cautious of alienating repeat buyers. Remember — they have Photoshop too. 5. Learn how to work with models. If you're not comfortable communicating and directing your subject, it will show in the final product. A good tip is to use actors instead of models, as they tend to look more real and work better for stock photography. 6. Shoot. Upload. Repeat. Being successful in stock photography means working hard and constantly refreshing your portfolio to keep up with trending topics. It's a full-time job for many people, and it's hard to compete if you're not putting in the same level of effort. The most important tool for a stock photographer is lighting. Whether it's natural or artificial, a well-lit shot ensures the best results for being selected by an editor from a stock photography agency. Photographic style also plays an important role in what stock agencies look for in a winning stock photo. Boosted colors, retro-filtering or desaturated tones may be popular, however, a well-lit and exposed image has the most universal appeal. Stock Photography is actually more important than most photographers think. Photographers make their money on images. As we get older, shooting a 10 hour wedding or lugging a couple of bags of equipment starts to lose its luster. Stock photography is a great passive income source for photographers and if you like it, it could be your main source. If photography is something you take seriously it is important to understand that the images you take today will become a major part of your income in the later years. Stock Photography is a perfect addition income to what whatever you are shooting currently. It can be done in between clients, at your own pace and in some cases at the same time as a client shoot. To start in stock image photography, Here are some helpful tips. 1. Don't shoot something just because it is popular. You will burn out quickly if you do that. 2. It takes time to build up a library of images so you might as well like the subject! Be true to yourself when deciding what you want to photograph. Doing it this way you will enjoy the work much more. 3. It is better to “specialize “ in one photographic topic. You want to become “known” for shooting one thing more than anyone else. Is it horses, machine parts,farms, people in office settings, wines, adventure sports? whatever you like to photograph there is a stock image company that specializes in that type of image and that is who you want to get in contact with once you build up your library. 4. This is a long term process. To get a great body of work you need to shoot many photos. The good news is you control how much you want to shoot. example: only adding 5 quality images a week in 5 years will give you 1300 photos that are bringing in income. Stock photography has not always been the cool kid of the imaging world. It's quite common to see photos that have become cliched through overuse, with newer photographers trying to replicate the look and feel of top-selling images. Popular stock images are those that customers can relate to and convey messages in a realistic way. Buyers trend towards images with positive messages. 'The good life' is visualized through images of playfulness, enjoyment, contentment and simplicity — moving noticeably away from the focus on wealth and luxury items. Images of mature men and women were best-sellers, as they imply trust, while health and medicine images are always snapped up. Business rules in stock imagery. The trend today is images that display teamwork across time zones, global connections and workplace diversity. Additionally, images of working early and staying at work late into the evening are highly sought after topics, as customers increasingly want to prove that they are hard workers. The initial reaction is that they do not pay photographers much at all. But that might all depend on where you are at with a photography career. These sites have easy acceptance qualifications for photographers. It is a very good place to learn the ropes if you are completely new to stock photography. They actually provide free tutorials and paper forms you can use for photo permissions and usage. They also have internal forums where people share their findings again which are perfect for someone starting out with stock. These sites are also useful if you have a lot of photography sitting on your hard drives NOT earning you income. Their payouts may seem low but it is worse to be sitting on a few terabits of photos not earning you any income at all! Something is better than nothing if the photo is just sitting there. There are many others and most have a long enough business record that you can get a feel if you want to work with them or not. Start with only one until you get a feel for the whole process. Think of the stock photography industry in two groups. micro and regular. Stock used to be very lucrative for photographers. Before digital, a single stock image could get you $500 -$3,000 in one sale. Of course to be accepted as a photographer on those sites you needed to present 300-400 images in a portfolio to their main office in the form of slides. Things have changed and some feel not for the better. Either way, in 2015 a photographer needs to consider multiple streams of income for the long term. One of those streams that works for you, might just be stock photography. Look for Imperfections at Full Size – Every single image you hope to submit to a stock site must be inspected by yourself at 100%, which is something that the reviewer will certainly do as well. Many times a photo can look perfectly in focus and free of any noise or artifacts when viewed at a small resolution, but can be horrible in quality when viewed at 100%. There are ways to help minimize or even prevent these issues in the first place. Whenever possible, use a very low ISO setting. 100 ISO is the best. Also, the use of a tripod for any stationary subjects will ensure that each and every exposure is not blurry from camera shake. Finally, choose the proper aperture and shutter speed for your subject to be sure that each part of the photo is fully in focus. There are a few occasions where a photo might be accepted if there is deliberate blur for creative effect, in the background for example, but most of the time stock sites want crisp focus throughout the image. At Least Consider Free Images as “Loss Leads” – Some stock sites have the option to donate some of your images either permanently or temporarily to the free section. While this may seem counter-intuitive, it is actually a very good idea. The free section gets a ton of traffic and often leads to a photographer’s premium portfolios getting noticed, and therefore more sales. Focus on the Larger Networks – Focus most of your energy on uploading to large and very established popular sites. There are many small and relatively unknown micro stock sites popping up all over the internet. However, the process of uploading and key wording images is very time consuming and wasting hours of your time for no return doesn't make sense. You could instead be spending that time taking more photos to build your portfolio on sites that do make sales. The larger your portfolio is the larger your income generally. It’s truly a numbers game. The average photographer will earn about $1 to $2 per image, per month so a large enough portfolio can really rake in good money. Find a Niche – Finally, there is an immense amount of competition in the micro stock industry, and your work will really need to stand out in order to make significant sales. After getting a general idea for what is currently selling, consider coming up with a unique style or subject matter to focus on. You just might find a niche that so far holds no competition but is in demand nonetheless. The worst that could happen is that your images are rejected and you have to try a new idea. 1. Pro Nikon Photographer at Morro Rock December 21, 2014. 2. How to make money from stock photography December 21, 2014. 3. 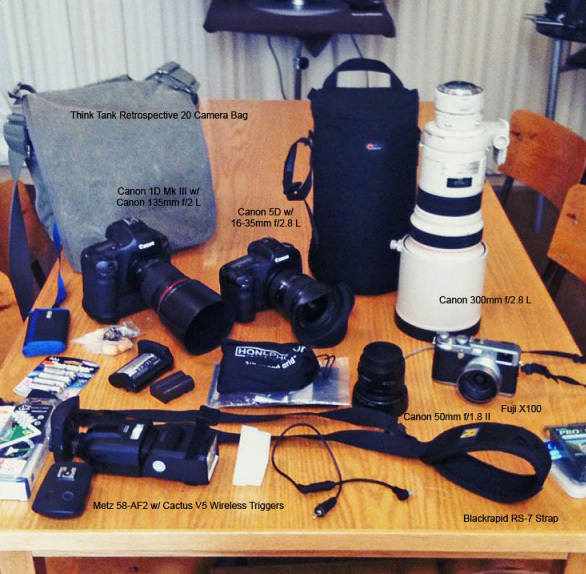 CanPhoto Kits: A look inside the camera bag of freelance photographer Kenneth Armstrong December 21, 2014. 4. How to make money with stock photography in 2014 December 21, 2014. 5. 7 Basic Tips That Will Make Your Stock Photographs Sell Like Hotcakes December 21, 2014.